Learn your clouds with this coloring series of cloud types that merges science with coloring fun. This page present the stratus cloud, a low-hanging kind of cloud that usually comes out when it rains. In this leveled book, your child can get to know the many different kids of clouds and work with longer, more complex words and sentences. 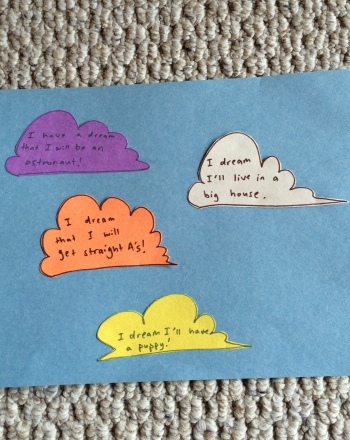 Has your child got his head in the clouds? So did Neil Armstrong, one of America's most famous astronauts.